General Description: Welcome to Rocamar in Canico de Baixo. 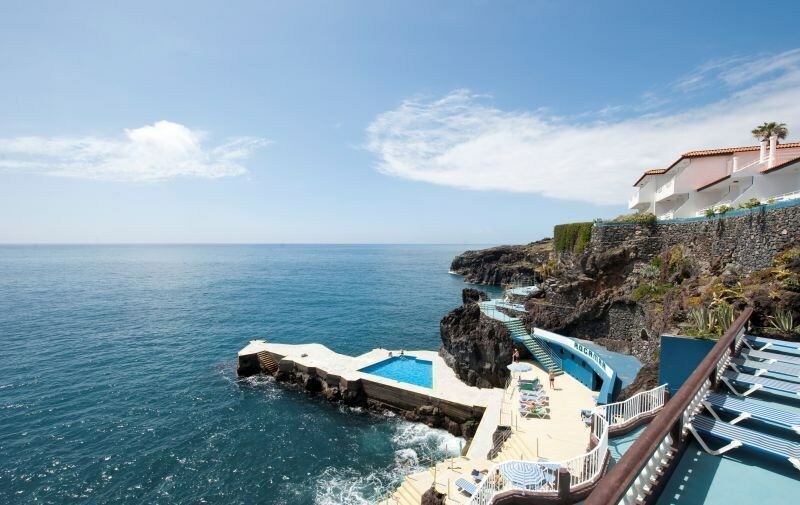 The closest city to the hotel is Funchal City (12 km). To make your stay more comfortable a mini market, a lobby, a reception, shops and a conference room are available. The staff in this 3 storey hotel speaks German, French and English. An entertainment program for children is available. Distance from the hotel to: airport FNC (10 km), disco (12 km) and theater (12 km). The hotel is within easy reach of bars and restaurants, bus stops, supermarkets, tourist information, shops and taxi stands. Amenities: Reception hours: 24h Service. Meals: The breakfast type is Buffet and it is provided from 07:30 - 10:00. Guests are welcome to enjoy their meals at the restaurant. Evening drinks can be enjoyed at the lobby bar. Sport and Leisure: Activities such as table tennis, animation programmes and billiards are offered at the hotel. Guests who wish to be active on holiday can enjoy activities such as aerobics.